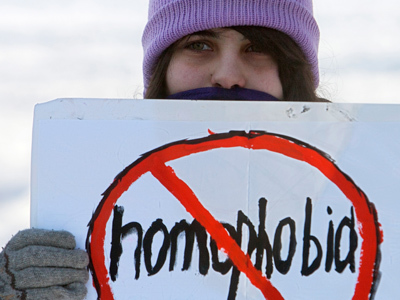 The St. Petersburg governor has signed into force an extremely controversial bill on homosexual propaganda. 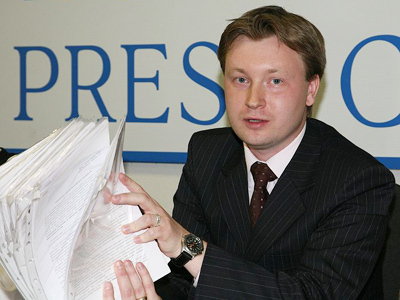 Meanwhile, one Russian gay activist is suing the MP who drafted the document, citing damage to his dignity. Nikolay Alekseyev of the GayRussia.Ru movement has filed a lawsuit against a deputy of the St. Petersburg city legislature, Vitaly Milonov – the man seen as the main person behind the bill – claiming the politician has inflicted damage to his honor and dignity and demanding 1 million rubles (about US$30,000) in compensation. At issue is not Milonov’s role in the bill itself, but several statements the politician made in media interviews regarding Alekseyev personally. For example the one where he alleged that Alekseyev was acting because he was hired by some Western organizations. Alekseyev now demands that Milonov publicly apologize and retract this allegation. 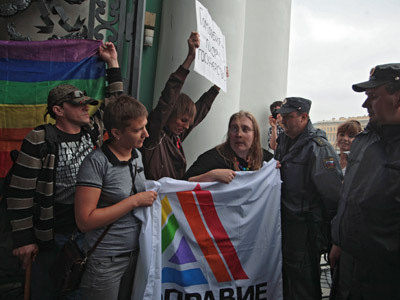 The move coincided with the signing of the bill against homosexual propaganda into law by St. Petersburg Governor Georgy Poltavchenko. The law bans all types of homosexual, transgender and pedophilic propaganda, but the responsibility for the felony is only administrative rather than criminal – mostly in the form of a heavy fine. Russian and international Gay activists have made a special video address to the governor asking him not to sign the bill, but to no avail. The international rights watchdog Human Rights Watch has also addressed the governor with a request not to sign the bill, saying that it was unacceptable that homosexuality was equated to pedophilia in an official document. Vitaly Milonov, however, was happy that his initiative was finally brought to life and thanked the governor with a special post on his twitter.